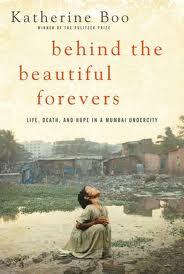 Katherine Boo’s best seller Behind The Beautiful Forevers, Life, Death and Hope In a Mumbai Undercity is a shocking examination of how income inequality can condemn hundreds of thousands of humans, men, women and children, as slum dwellers with no possible exit from their condition. After completing Behind The Beautiful Forevers I wondered why the author placed the word HOPE in the title, as I came away with none. 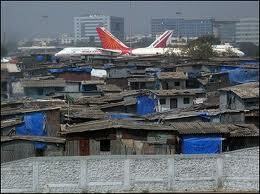 Boo illuminates the contrast in India’s caste system by establishing her story line in a Mumbai slum, Annawadi, beneath the shadow of India’s “other world”, the gleaming high-rise hotels that surround the international airport. 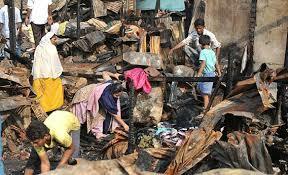 In Annawadi, young and old, mothers, fathers and children live at the edge of a sewage lake in cardboard and tin shacks with no walls, doors or plumbing. Boo takes the reader through their daily lives of survival, picking through the garbage and waste of the upper classes and ironically paying bribes to the political bureaucracy for the privilege! Hope ? Boo details a society in which the poorest of the poor must pay bribes for the most basic essentials in life, including food, water, the privilege to work, and inadequate medical care. The very same week I completed Boo’s book, the March 30th addition of The Economist arrived at my desk with the headline CAN INDIA BECOME A GREAT POWER? Behind The Beautiful Forevers makes a commanding case for a resounding NO! This entry was posted in Non-Fiction and tagged Behind The Beautiful Forevers, income inequality, India, India caste system, Katherine Boo, Poverty in India. Bookmark the permalink.